My daughter, Ivy, loves all carbs (I canâ€™t imagine where she gets it from ðŸ˜‰). She'll also gobble up anything that looks like a muffin. And from a mom point-of-view, I know muffins are the perfect food to freeze and pull out as needed. So I challenged myself to make a super healthy muffin that would taste just as delicious as a regular not-as-healthy one. My goal was to make this muffin so tasty that not only would Ivy eat it, but the big kids in the house (my husband and I) would gobble it up as well. 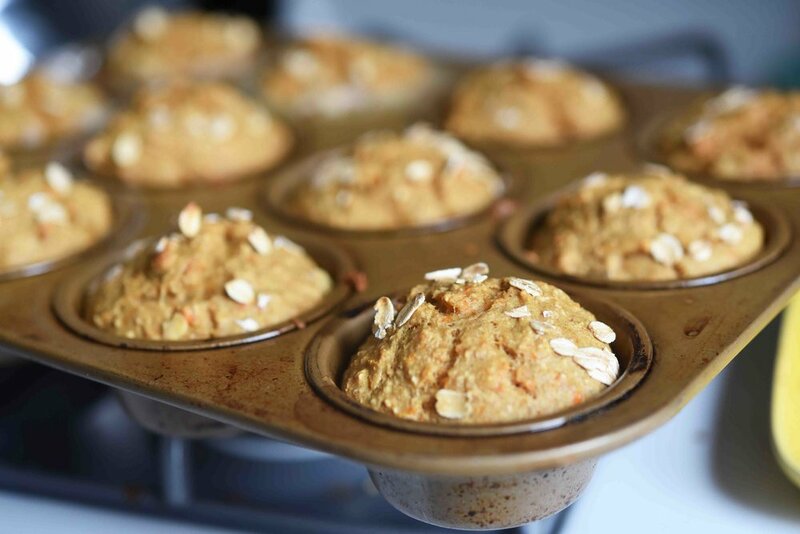 The result is a muffin basically made of bananas, carrots, oats, and a touch of maple syrup. You puree all of these ingredients up and put the batter in the cups of a muffin tin. These muffins couldnâ€™t be easier to make and they actually taste like banana bread! Whenever Iâ€™m eating one I have to remind myself how healthy they are because all Iâ€™m thinking is, Iâ€™m in muffin heaven. Now donâ€™t get me wrong, they're a little denser than a regular muffin (they're all oats instead of flour, so that's why that happens). And they're a touch more moist than you might be used to (this makes them perfect when re-heated though!). But the fact that you can eat ten of these and still feel like Healthy Eating Champion of the World makes it all worth it! Preheat the oven to 425Â°F. 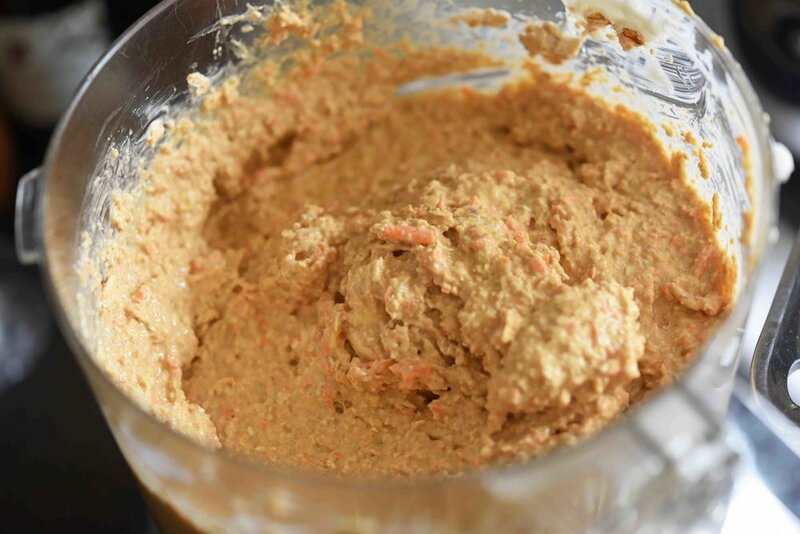 Add the oats, bananas, carrots, yogurt, maple syrup, eggs, baking powder, vanilla, cinnamon, and salt to a blender; blend until the mixture is batter-like and nearly smooth. Pour the batter evenly into a 12-cup muffin tin prepared with cooking spray. Then top each of the filled cups with a sprinkle of the reserved oats. Bake the muffins until the tops are dry and a knife inserted into the center of one of the muffins comes out cleanâ€”15 to 18 minutes.